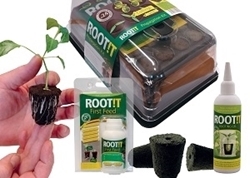 Root!t propagation kit offers the best start for your plants. 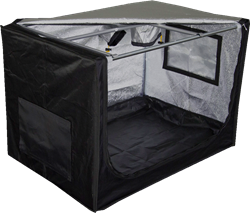 Each kit provides all you will need to give your plants the best start. 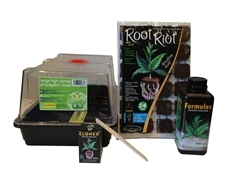 We have put together propagation kits to supply you with the important items you need to give your plants the best start. This stage provides foundations which set them up for the rest of their development. Our kits provide a Propagator which is a covered container you can fill with soil used for germinating or raising seedlings or cuttings, starter cubes encouraging early root development, Propagation nutrients such as our popular Clonex Rooting Gel and Formulex containing vital hormones, protecting your cuttings/seeds from infections and harmful bacteria until its roots emerge and finally a scalpel to complete your kit! If plants have a poor start they are more inclined to fail or not give a great end product. 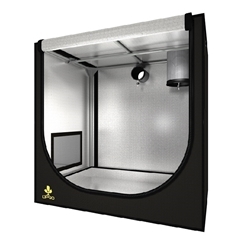 Grow magic kits offer a complete package so you can feel confident that you plants will get what they need from the very beginning.